When the 8th day of Pesach fell on Shabbat, something happened: the Torah reading in Israel, where there is no 8th day, proceeded to the Torah portions in Leviticus, while those of us in “chutz-la’aretz” stayed one more day with the holiday. What this means is, that during these weeks, we, outside of Israel, are reading a different Torah portion – one behind – the Jews in Israel. This pattern will continue until the week before Shavuot, so that when we get to Sinai, to the Giving of the Law, we will be all together. This is a normal pattern which occurs every few years, and yet, there must be no other days in the calendar, where the distance between “Israel” and “diaspora” is so great and the pain so acute. Not only it is the time of counting the Omer, remembering the strife and sadness of long ago, with some placing an extra focus on the death of Rabbi Akiva’s students, but at the same time, it is Yom Ha’sho’a – Remembrance Day for the Holocaust and Bravery, and Yom Hazikaron – Israel’s national Memorial Day for Soldiers and Terror Victims. Growing up in Israel, these days are shot straight to the vein in large doses. There is no escape, from the loud siren and everyone – everyone – standing still, to ceremonies everywhere – from national locations to neighborhood memorials, to school assemblies; there are special songs on the radio, and neighbors talking in hushed voices. You don’t have to do anything to know what’s going on and be part of it. And then you come to America, or wherever. And it’s not “kaf-zayin benissan” or “hey be’iyar” but April whatever. The radio plays the same giddy nonsense, the neighbors smile their usual, chat about the weather and wish you a wonderful day, and the flowers decide to burst out in joyful blooms. Unless you’re in the heart of a Jewish… some other organization, which bothered to bring fiery shlichim who shove yellow stars and sad, faded, black framed photos along with streamers of blue and white at you, it’s still April whatever and no one cares. For years, I was the one with the stars and photos and streamers. And this year, for variety of reasons, I felt tired; tired of being “the program”, the “token Israeli” who insists on having a “tekes”, who shows (off?) how we mourn our loved ones (head bowed down diagonally ever so quietly, teary eyes blinking behind dark sunglasses, lips shut tight). This year, I feel a resentment, both towards the “Yom Hazikaron industry” (of which I am a part! ); And towards this being “the Israelis day”. By the end of the week, I’m exhausted (my blog – late…) and the heavy load of memory and celebration weighing down on my shoulders. At the establishment of the State of Israel, there were talks, when to schedule the “new” national memorial days. Some said, we already have a national mourning day, known as “Tish’a Be’av”, the day we commemorate the destruction of not only the first but the second Temple as well, and many other calamities. But others, whose pain was fresh and oozing with no comfort, wanted their own day. In a rush, the day before Yom Ha’atzmaut was decided. We, the “young sabras”, had to build an ideology around it, talking about the juggle of sadness and joy. But what if it was different?? Had Yom Hashoa and Yom Hazikaron been in mid-summer, on an already established 2000 years old fast day, most likely, I would have not known anything about it, and maybe, no one would: The secular Israeli would not see it as it’s off the school year, and the Ultra-Orthodox, who observes the day, might ignore that modern aspect of it. But maybe, just maybe….. the reverse is also possible: the seculars would have had to learn about Tish’a Be’av, and the Ultra-Orthodox – appreciate the State of Israel as “resheet tzmichat ge’ulatenu” – the beginning of our redemption, a welcomed part of our religious, national, historical amazing everlasting tale. 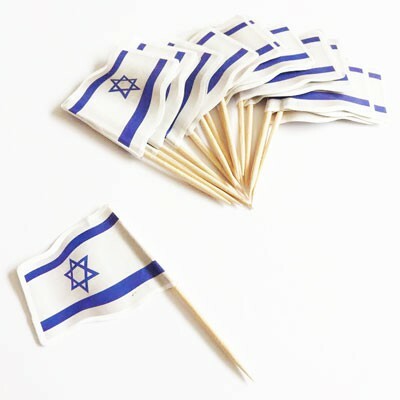 Perhaps the saddest aspect is that over the years, by establishing different mourning days, we separated our people, which now means, on Tisha Be’av some “crazies” fast and mourn for a faraway, to many – irrelevant – Temple of long ago, while others cry, alone, on Yom Hazikaron. We divided ourselves twice: first, according to religiosity and then, according to geography. The geography piece is that outside of Israel and its defense force, national memorial days mean very little in other countries. There are ceremonies, and I thank those who taught me so, but it is very different, as the “one-off” and nto the norm. By creating the first separation, we also took those days away from (almost) everyone who is not in the Land, or directly connected. And then we stood there, ever so sad, not knowing why no one cares. Again. Rav Benny Lau teaches about this week’s Torah portion, Metzora, where we read about leprosy that in order to “diagnose” leprosy, there are two aspects: the wounded leper, and the diagnosing priest, one who is “seen” and was who “sees”. There are many conditions before determining one a “leper”, and thus “removed from the camp”. In a way, it is a dis-ease which relies on one person being honest and open about their hurt, and another, who can see through and understand what’s before him. True, in the Book of Leviticus, it is the job of the priest, but elsewhere (Exodus) were told that we are all a “kingdom of priests”. What do we see? How do we see our brethren? How do we create, in the words of Rav Avi Weiss, not uniformity but unity? The separation is painful but it’s also an opportunity. May we find the way to remember and celebrate, together. This entry was posted in Uncategorized and tagged celebration, Israel, leprosy, Leviticus, memory, metzora, seeing, yom haatzmaut, yom hashoa, yom hazikaron. Bookmark the permalink. I hear your pain about the disconnect between the Jews of the diaspora and the lived experience of loss in Eretz Yisrael. It is important that you shared this.